Creation’s tears in shoulder blades. Well, perhaps not every child had such a garden in their childhood, but I wish they had. I did, but the enchanted place was actually all the blocks around our house more than just a single garden. Nevertheless, Lawrence’s description fits my childhood perfectly. For, you see, in southern California where my life began, flowers grow everywhere, and many of the houses, like ours, which were perpendicular to the Pacific Ocean had car-width alleyways behind them. 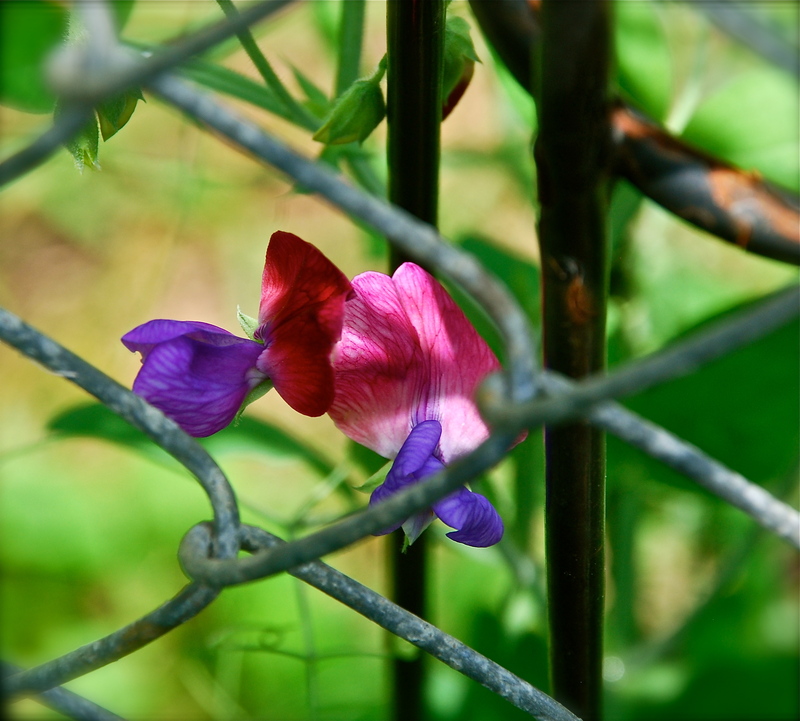 While many of the backyards were filled with all kinds flowers, the fences along the alleys were covered oftentimes with sweet pea vines. So strong an imprint did those images and scents make on my mind, heart, and soul that the memory of them hasn’t faded, not even a smidgen, for the fifty years I’ve been gone from there. Had I known 20 years ago that sweet peas would grow here, I would have started sowing their seeds when I first took up gardening. 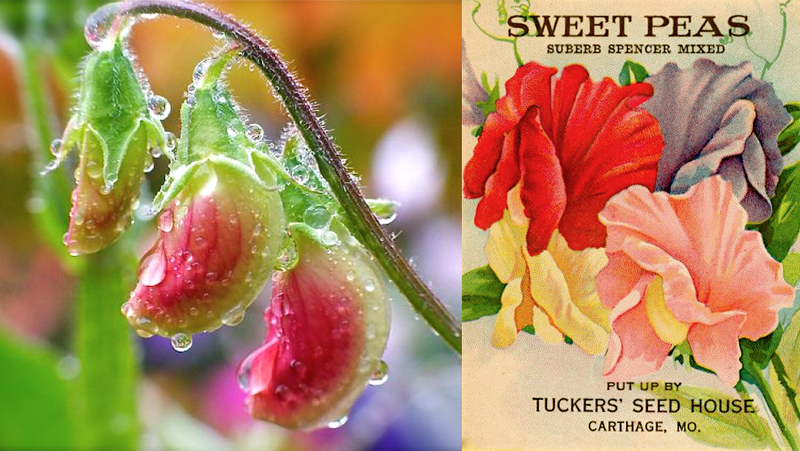 But it wasn’t until a few years ago that I stumbled across a packet of sweet pea seeds in a nursery and thought what the heck. Why not give ‘em a try?! And guess what? They have done fairly well the years we’ve gotten a good amount of rain and the temperatures haven’t gotten too warm, too quickly. Et voilà! Today sweet peas are abloom on my back fence again! And the halcyon days of my childhood have been flooding the foreground of my memory the livelong day. My oh my, but those were wondrous and wonder-filled times! The bursting bud, its blossom sign, Inlaid with honeyed-dew. But give to me the flower that grows Petite and pansy-eyed. another little bit of ground. Life! Life has materialized again! On a cool, misty morn of late October, little green slivers of life have emerged into visible existence, life anew made manifest from tiny black seeds scratched into barren soil and sprinkled with water, the very elixir of life itself! And it has come where two losses occurred unexpectedly in my yard last June. When it happened, “the gardening instinct” Gantt mentions kicked in immediately even though it was long after the last rising of sap and well before the next. Sadly, at that time however, the fires of summer were already growing intense, and it was too hot to start “taming” bits of ground. But when temperatures at last lowered in late September, my son-in-law tilled and tamed the new bits of ground for me. 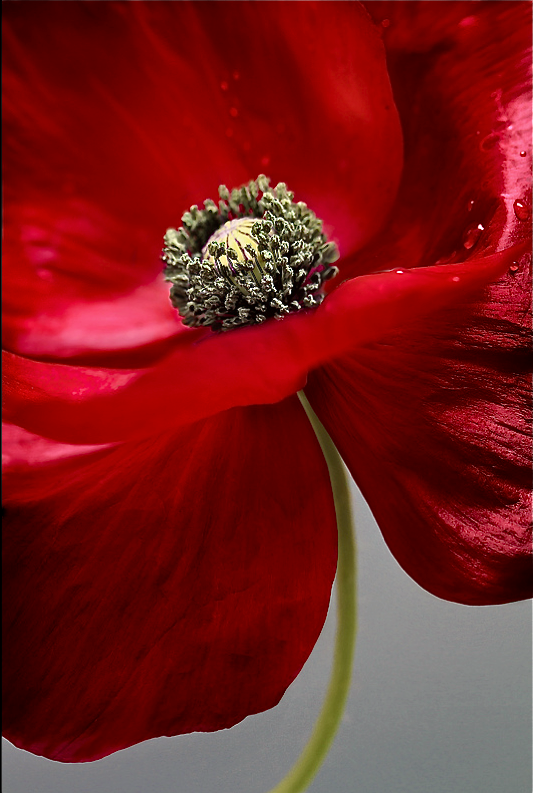 It may seem odd to sow this late in the year, but given the mild winters and early to warm up springtimes of north central Texas, the seeds of poppies, larkspur, bluebonnets, bee balm, and sweet peas must be sown in the fall so that the roots of the seedlings have enough time to grow strong and hardy. Such indeed is “the stuff of which dreams are made” for those of us who need flowers for the soul to thrive, who seek revelation of God in a garden, who live close to and find intrigue in the soil from which we came, and who dig the ground seeking His presence in earth’s depths. Between each row of houses in Belmont Shore, California, where I grew up ran an alley which was the way to get in and out of the rear facing garages; it was also a favorite place to ride my bike or skates as well as being a frequented path to the homes of neighboring friends. 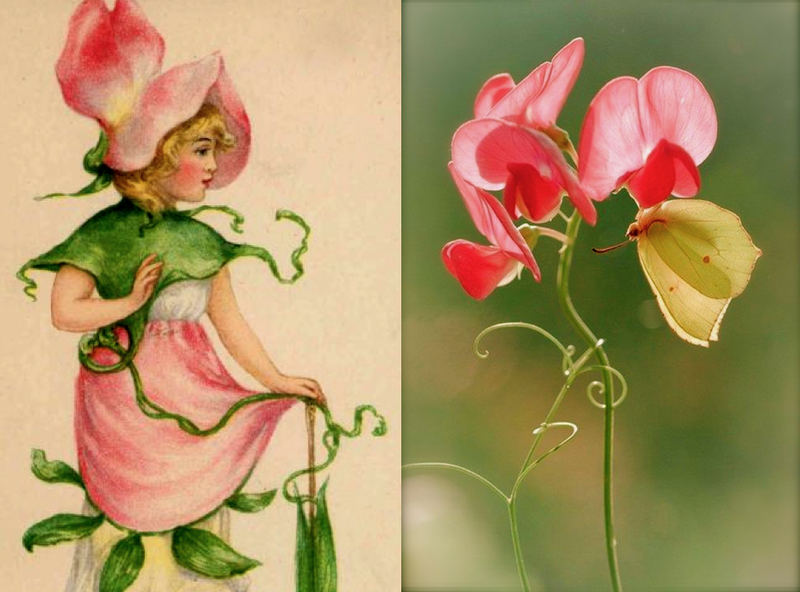 Besides the garages the alley skirted the back yards of the houses and on many of the fences grew Sweet Pea vines. Not only were the flowers of these vines lovely and fragrant, but for a curious and imaginative child born in and of and wedded to one of the few remaining years of innocence the world would ever know they were the home of enchanted and magical fairy creatures. Hauntingly unforgettable indeed have been the gardens in my childhood, but it was more than just the colors, the beautiful flowers and the lovely fragrances. Along with being mesmerized by all that splendor, I was courted by the Holy One, Yahweh, whose sole intent was to capture my heart and reveal His own. Though the world and its deceptions fought long and hard to turn me away from Jesus, He would not and did not give up on what had always been His. 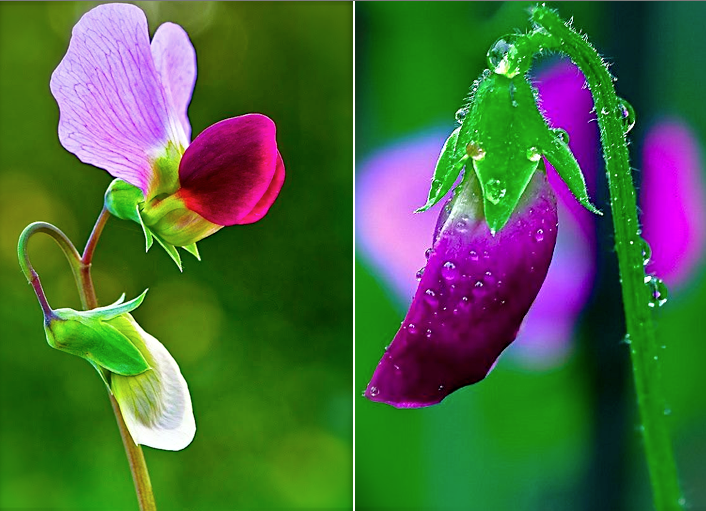 With their richly colored, yet small, delicate flowers, the sweet pea’s history can be traced back to 17th century Italy when a Sicilian monk, Franciscus Cupani, sent its seeds to England. Then Henry Eckford, a Scottish nurseryman, cross-bred the original flower and created the colorful and intensely sweet scented blossom that became the floral sensation of the late Victorian era. 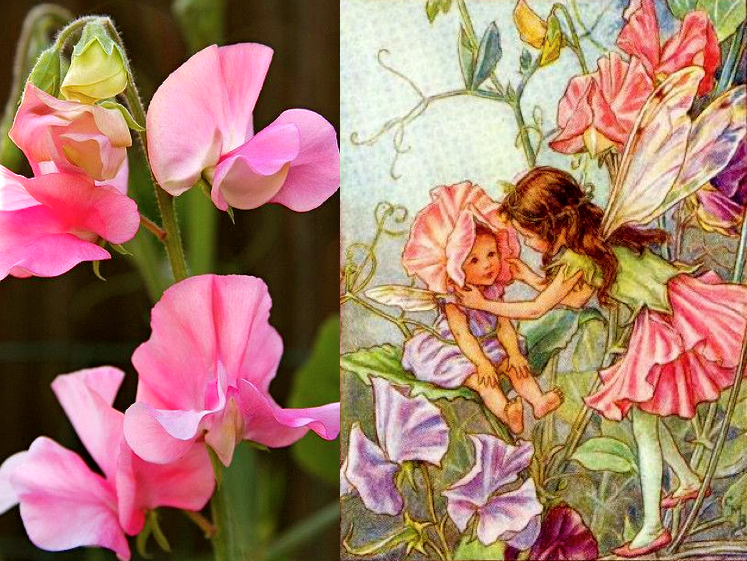 **My sweet pea vines are climbing but not blooming yet so I’m using images here that I found on Pinterest.